If your budget is too tight to actually stroll along the banks of the Seine or trek through Jerusalem, Google is now offering a virtual alternative -- digital tours of famous sites across the world. ...The U.N. cultural agency UNESCO and the World Monuments Fund are partnering with the company to provide information about the treasured spots. Videos, photographs and interactive models also spangle the site; people can submit snapshots of the famous places for possible inclusion on the website as well. So it's a product of the UNESCO World Heritage Center--so what could go wrong? The Palestinian Authority sponsored a sports tournament at a stadium named after a terrorist. The event featured four teams that also were named after prominent Palestinian terrorists and terror supporters. The competition came days after President Obama ended a six-month freeze on aid to the PA. The U.S. released $147 million reportedly to cover the costs of infrastructure, education, humanitarian aid and health projects for the Palestinians. In July 2011, three Iranian filmmakers announced a plan to create a film trilogy about the life of the Prophet Muhammad – the first feature films depicting the Prophet ever to be made in the Muslim world. The announcement sparked controversy in Muslim countries, in light of fatwas that prohibit any portrayal of Muhammad, his family, his Companions and other prominent figures from early Islam in works of art. HonestReporting has put together a slideshow on Six Secrets of Media Objectivity. President Barack Obama’s mistaken reference to Nazi German death camps as “Polish death camps” is being ridiculed by critics as an example of incompetence. That misses the point. The defense is that he was just reading his teleprompter. That misses the point, too. Nevertheless, what this is really about is that Obama does not see himself as emerging from European history and, truth be told and despite his university degrees, doesn’t know much about it. He has no idea, for example, about how the Poles and other Central European people or Europe itself think or what they have gone through. And frankly he doesn’t care. Each mention of the word "moderate" should be replaced with "left wing fringe." There really was a correction; that wasn't it. However, I'd like to rewrite selected paragraphs to show how a newspaper - as opposed to an advertising agency - would cover J-Street. I'll leave it as an exercise to the reader to compare with the actual newspaper copy. I wrote yesterday that when she writes about the tunnels between Gaza and Egypt, Ruqaya Izzidien omits that Gazan tunnels are used to bring in rockets to attack unarmed civilians in Israel. The Israeli government views the tunnels as an illegal smuggling route and often targets them in airstrikes, which usually trap and kill workers. We all know that the Obama administration is the one that has been the friendliest to Israel. After all, Obama told us so. "Rather than describe how deeply I care about Israel, I want to be blunt about how we got here," Obama said, reminding his guests that he had so many Jewish in Chicago at the beginning of his political career that he was accused of being a puppet of the Israel lobby. In the Senate, he said, his support for Israel's qualitative military edge has been unwavering. Obama added that people judged his support for Israel because of the differences between a center right government in Israel and center-left in the U.S. - because he pressed Netanyahu too hard in his belief that it's time to seize the moment and pursue peace initiative. Obama also stressed he probably knows about Judaism more than any other president, because he read about it - and wondered how come no one asks Speaker of the House of Representatives John Boehner or Senate minority leader Mitch McConnel about their support to Israel. Let's take this a piece at a time. You know that Obama is getting desperate when he has to resort to the old "some of my best friends are Jewish" refrain. There is just a touch of insincerity in Obama's claim that he was accused of being a puppet of the Israel Lobby. Remember that tape of Obama that the Los Angeles Times refuses to release, apparently because of what Obama said to a pro-Arab crowd? Why is the Los Angeles Times sitting on a videotape of the 2003 farewell bash in Chicago at which Barack Obama lavished praise on the guest of honor, Rashid Khalidi — former mouthpiece for master terrorist Yasser Arafat? If we are supposed to judge Obama by the company he keeps, what shall we make of his close friendship with Khalidi and Ayres, friendships he denied existed during his campaign. US military aid to Israel is set to be delivered as part of a $30 billion 10-year military-aid package signed by President George W. Bush administration in 2007. From 2009 till 2018 the US is expected to grant Israel some $3 billion per year. Israel may spend 26 percent on locally-manufactured systems while the remaining 74 percent must be spent on US-manufactured systems. The attempt by the Obama administration to prune the amount of aid to Israel and refusal to specify a funding commitment for Iron Dome back in April are therefore more indicative of Obama's true level of commitment to Israel. So when we now hear Obama's latest claim about some sort of special relationship with Israel, this time by virtue of his knowledge of Judaism--what can we do but roll our eyes in disbelief? Pity we don't know what books Obama read that make him so expert about Judaism. But other presidents did not read about the subject, they read the subject. Lincoln knew the Bible by heart. Truman also knew the Bible, or much of it, by heart. Likewise there are other presidents whose quoting of the Bible indicate some familiarity with the book. But in the case of Obama, there is no indication that he knows it--only that he read about it. Like much about the Obama we know now in contrast with what we were told about Obama back in 2008--we are underwhelmed. Technorati Tag: Judaism and Obama. Middle East Forum: Iraq: A satellite state of Iran? Iraq: A satellite state of Iran? How much influence does Iran wield in Iraq? This question has long been a matter of debate and in light of the US troop withdrawal has become all the more relevant, especially with rumors of Iranian plans to have Mahmud Shahrudi, who is an Iraqi-born member of Iran's Guardian Council and advocates clerical involvement in government, succeed the quietist Ali al-Sistani in Najaf. Unfortunately, partisan politics on the left and right have precluded serious analysis on the subject. Shame On UJA-Federation and John Ruskay For Ignoring Your Voices! Saudi Arabians are angry at a McDonald's toy which they say mocks their prophet Muhammad. According to a report appearing today (5/27/12) on the Arabic news website, Kermalkom.com, the McDonald's fast food restaurant "abused the Prophet Muhammad by placing his name at the base of a toy that is being distributed as part of the Happy Meal, a toy which steps on the name 'Muhammad.'" The toy is apparently a Power Ranger Samurai that stands on one leg. When you press the lever the figure stamps on the base with the other leg. According to the Saudis, the toy is purposely designed so that the figure is stamping on the name of Muhammed that appears all around the base. Some of my readers are unhappy that I keep criticizing President Barak Obama and his government. The problem, however, is that this administration keeps doing terrible things in the Middle East. And the most damning evidence on these actions comes not from Obama’s enemies but from the administration itself and the supportive mass media. “U.S. Hopes Assad Can Be Eased Out with Russia’s Aid,” by Helene Cooper and Mark Landler, in the New York Times. His diplomatic successes included the effort to repatriate hundreds of international staff and citizens of Western countries from Iraq after its 1990 invasion of Kuwait. From 1995 to 1996, as under secretary for peacekeeping, he oversaw a difficult transition of that responsibility in Bosnia and Herzegovina from the United Nations to NATO. He is considered responsible for defusing a number of conflicts in Africa, notably a 2008 agreement that halted a civil war in Kenya. But Mr. Annan also is known for having weathered some spectacular lapses. I’m much more worried about being bombed than grazing my head! But it's all in good fun, of course. Gazans have always considered the tunnels a legitimate trade and passenger route, one that is necessary for survival in light of the blockade. The Israeli government views the tunnels as an illegal smuggling route and often targets them in airstrikes, which usually trap and kill workers. There are false accusations of anti-Semitism - the vast majority of those supporting a cultural boycott are not motivated by anti-Jewish prejudice. But there is also a minority strain of false concern for the Palestinians, whose sufferings are used as cover for anti-Semites. No, Fintan O'Toole is not completely opposed to the pressure being applied on Israel by its critics--he takes as a given that most of the supporters for BDS are not driven by prejudice--but he does recognize there are those who claim to support "the Palestinian cause" who in reality are driven purely by Antisemitism. For years I have been part of a small cadre of determined individuals who saw clearly the damage being done by UNRWA -- the UN Relief and Work Agency for Palestinian Refugees. Damage to prospects for peace in this region, and damage directly to Israel. American intellectual Will Durant's The Lessons of History—co-written with wife Ariel and published in 1968, when the Soviet Union posed a threat to the United States—still offers insightful lessons, especially concerning American-Muslim relations. If we should follow the usual course of history, we should make war upon you for fear of what you may do a generation hence…. But we are willing to try a new approach. We respect your peoples and your civilizations as among the most creative in history. We shall try to understand your feelings, and your desire to develop your own institutions without fear of attack. I've done this a few times lately, and each time the situation has been a crisis. But the urgency of this situation transcends every other situation I've written about. There is a boy of nine here in Israel who has been diagnosed with an aggressive cancer around his heart. It was discovered because he had a persistent cough that would not go away. Every major medical center -- including top flight places in the US -- that has had its doctors review the pictures (MRI, whatever), has said that it is inoperable. They will not touch it. The prognosis is so grim that the mother has made a decision to decline chemotherapy, so that he should not be made totally miserable in his last weeks or months. There is, then, nothing but prayer. And I ask it of each of you, and that you put out the word as extensively as possible. Miracles do happen, and we cannot turn our back to that possibility. Pray for NOAM JAY BEN INBAR. 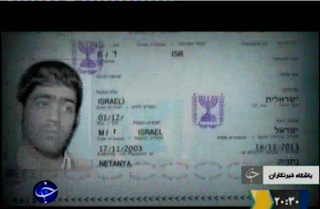 I know of his case because his father lives across the street from my daughter, in Beit Shemesh. I know that Jay is a lively, active little boy who just days ago was riding his bike. He is aware -- as much as a nine-year-old can be aware -- of his medical problem, but he is restless and bored in his hospital bed and wants to go back to riding that bike. He does not understand that he may never leave his bed. He has a seven year old brother who is deeply attached to him. There is a video going around by the descriptive name "Palestinian pregnant young lady in labour forced to take her cloths off they shoot dead her husband." In the video, a woman named Maysoun Hayek (Meyson Hayaq in the video) describes what she claims happened in an incident from February 25 2002. The video was supposedly filmed 3 years after the event--and then uploaded to YouTube 4 years later in 2009. In the edited version of the video, Maysoun Hayek claims that while pregnant and on the way to the hospital, she and her husband stopped at a blockade, and then after being let through, Israeli soldiers shot and killed her husband and then humiliated her by forcing her to undress. In one of his first statements since leaving office, former President George W. Bush remarked on Middle East developments in an article, “The Arab Spring and American Ideals,” in the Wall Street Journal, May 18. The former president reflects certain American misconceptions about the Middle East that are starting to blow up big-time in the region. "We do not get to choose if a freedom revolution should begin or end in the Middle East or elsewhere. We only get to choose what side we are on." Daniel Pipes: Count Palestine Refugees? The fetid, dark heart of the Arab war on Israel, I have long argued, lies not in disputes over Jerusalem, checkpoints, or "settlements." Rather, it concerns the so-called Palestine refugees. So called because of the nearly 5 million official refugees served by UNRWA (short for the "United Nations Relief and Works Agency for Palestine Refugees in the Near East"), only about 1 percent are real refugees who fit the agency's definition of "people whose normal place of residence was Palestine between June 1946 and May 1948, who lost both their homes and means of livelihood as a result of the 1948 Arab-Israeli conflict." The other 99 percent are descendants of those refugees, or what I call fake refugees. The storm surrounding South Africa's decision to boycott Israeli products manufactured in the West Bank is the result of a successful Palestinian campaign. Yet a Ynet probe reveals that the Palestinian Authority continues to market Israeli products, with locals seeing no reason why they should stop purchasing the products. While the Brotherhood claims victory, the election was actually a defeat—at least temporary and possibly less important than it seems—for the Brotherhood and Islamism. Here’s why. Note that only about 44 percent of voters backed an Islamist candidate, compared to 75 percent in the parliamentary election, while only about 25 percent voted for the Muslim Brotherhood compared to about 47 percent in the parliamentary vote. Why? "...the man sitting in the Oval Office is ignoring the possibility that his inaction will make the Middle East go nuclear and undermine the world order. He doesn't care that he might be responsible for losing the United States' superpower status and turning the 21st century into a century of nuclear chaos. ...President Obama is an intrepid leader. For a year the man seeking a second term in the White House has known that a conflagration in the Middle East could determine the 2012 election campaign. Review of Robert Spencer's "Did Muhammad Exist?" The Middle East Media Sampler 5/25/2012: Did The Peace Process Ruin Israel's Reputation? There was a panoramic portrayal of Jerusalem, described as "the focus of Jewish prayers for 2,000 years" and the nucleus of new Jewish neighborhoods. Life emphasized that in its pre-1967 borders, Israel was "a tiny, parched, scarcely defensible toe-hold." The edition's opening photo shows a father embracing his Israeli-born daughter on an early "settlement," a testament to Israel's birthright to the land. Would a mainstream magazine depict the Jewish state like this today, during the week of its 64th birthday? Here is the latest Latma. There comes a time when it is important to move beyond the trap of current events and look higher. Such a time is coming with the holiday of Shavuot, which will be celebrated on Sunday here in Israel, and also on Monday outside of Israel. Shavuot marks the giving of the Torah to the Jewish people at Mount Sinai. It was a transformative and singular moment of direct revelation. It involved all of the people of Israel, who were present and received the word of the Almighty with fear and trembling. The world is decidedly reluctant to give us, as Jews, our rightful place. But the reality is that through the transmission of a code of values at Sinai, the Almighty set into action the process by which Am Yisrael (the people Israel) would become a light unto the nations. The struggle of how to be true to that heritage, marks, I think, one particular painful and difficult controversy in which Israel is currently embroiled: That is, the controversy over what to do with the thousands of African immigrants (currently about 80,000) who have made their way illegally into Israel. Let me make it clear from the start that this article is based on Muslim Brotherhood statements and leaks. The information may not be accurate. We will not know for sure until Sunday when official tallies are provided. According to the Brotherhood, the uncompleted vote counting for president looks like this. Amr Moussa (radical nationalist pragmatist) 11.6%. Egypt's long awaited and much anticipated presidential elections—the first of their kind to take place in the nation's 7,000 year history—are here. As we await the final results—and as the Western mainstream media fixate on images of purple-stained fingers—it is well to remember that there is much more at stake in Egypt's elections than the mere "right" to vote. "And Here We See It"
It: the absolute intransigence, the lack of good intentions, the ultimate malevolence of Iran. Today in Baghdad, the Iranians rejected a proposal that had been put forward by P5 + 1. What was being sought by the international community was a cessation of enrichment of uranium to 20% (not even all enrichment!). In return Iran would have received benefits such as medical isotopes and spare parts that Iran needs for its for civilian airliners. If you thought that they was merely obsessed with Israel, rest assured that the problem with Amnesty International goes further than that, as Jonathan Tobin writes. The news that Amnesty International’s annual report on the state of the world has condemned the American raid on Osama bin Laden’s hideout in Pakistan, as “unlawful” should surprise no one. The group’s obtuse effort to brand every effort of the United States to defend itself against terrorists has long since reached the level of parody. Where once it could claim some moral legitimacy as a neutral compiler and observer of human rights violations wherever they were committed, the decision of the group to treat the West’s ongoing conflict with al-Qaeda and its Islamist allies as if it were a matter of American persecution of Third World innocents has lost Amnesty its last shred of credibility. The International Olympic Committee has made it clear that it will not comply with Israel's request for a moment of silence to commemorate the 40th anniversary of the Munich Massacre when 11 Israeli athletes were brutally murdered by Palestinian terrorists. The IOC claims that they have "officially paid tribute to the memory of the athletes on several occasions" and "within the Olympic family, the memory of the victims of the terrible massacre in Munich in 1972 will never fade away." Ilan Berman, an expert on regional security in the Middle East, Central Asia, and the Russian Federation, is the vice president of the American Foreign Policy Council and has consulted the CIA and the Department of Defense. He has authored several books, including Tehran Rising: Iran's Challenge to the United States (2005) andWinning the Long War: Retaking the Offensive against Radical Islam (2009). On April 23, 2012, Berman addressed the Middle East Forum via conference call. Tehran's October 2011 attempt to assassinate the Saudi ambassador to Washington using a Mexican drug cartel has focused international attention on what had until then been a largely-overlooked political phenomenon: the Islamic Republic's intrusion into the Western Hemisphere. But how deep is this penetration, and what does it seek to achieve? In the absence of regular blogger, Robert Mackey, J David Goodman wrote Video of Settler Shooting Raises Questions Over Israeli Army Response for the New York Times blog, The Lede. Legal officials from the Israeli Defense Forces are investigating more than a dozen episodes in which its soldiers are accused of failing to intervene as Israeli settlers attacked Palestinians, Haaretz reported on Tuesday. The report followed the release of footage from a confrontation on Saturday in which armed settlers are said to have fired on rock-throwing Palestinians as Israeli army soldiers stood by watching. The video, posted online by the Israeli human rights group B’Tselem — which provides cameras to Palestinians to monitor the behavior of Israeli forces in the occupied West Bank — drew international attention and raised questions over the mission of the Israeli soldiers. No doubt, the incident "drew international attention," but among whom? As in many previous reports, Amnesty continues to level unsupported allegations of violations of international law against Israel, including "collective punishment." In contrast, the organization expressed uncertainty regarding the legal significance of the murder of more than 8,000 Syrians by Bashar al-Assad, claiming that these deaths "may have constituted crimes against humanity". Israel is mentioned 137 times in the report as opposed to 74 mentions for the Syrian regime. No legislation regarding "unauthorized" communities in Judea and Samaria came to the floor of the Knesset today. 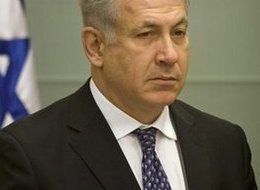 Prime Minister Netanyahu requested that the sponsors of these bills give him two weeks to work out the situation in Ulpana without legislation. One can never be sure what he'll pull out of his sleeve, but I advise my readers not to expect a miracle solution from him. Rabbi Elchanan Adler - "Derech Eretz Kadma LaTorah: A Multi-faceted Perspective"
Rabbi Joshua Flug - "Matan Torah as a Form of Conversion"
Dr. Michelle Levine - "Moshe Rabbenu at Ma'amad Har Sinai: Ascending and Descending the Mountain"
Rabbi Shmuel Maybruch - "The Best Part of Waking Up: Birchas HaTorah on Shavuos Morning"
Rabbi Mordechai Torczyner - "The Shabbat Influence"
Rabbi Dr. Richard Weiss - "Overcoming Medical Obstacles to Jewish Conversion"
Dr. Shira Weiss - "Were Obligatory Beliefs Revealed on Sinai?" Rabbi Mordechai Willig - "Voluntary and Involuntary Acceptance of the Torah"
Thomas Friedman's latest, Power with purpose, exhorts Prime Minister Netanyahu to engage in "constructive unilateralism" as proposed in a recent op-ed Peace without Partners by Ami Ayalon, Orni Petruschka and Gilead Sher. The problem is that, as with the earlier op-ed, the onus for peacemaking falls strictly on Israel. I’m keeping an open mind, but the temptation for Bibi to do nothing will be enormous. The Palestinians are divided between Hamas in Gaza and the Palestinian Authority in the West Bank, and both populations are tired. Barry Rubin: Egypt: If There’s No Danger of Radicalism and Islamism Why Can’t You Provide Evidence? Egypt: If There’s No Danger of Radicalism and Islamism Why Can’t You Provide Evidence? Will Difference Between Obama 2012 and Obama 2008 Make Jewish Vote Irrelevant? A sitting president of the United States, seeking reelection, can’t lay out a plan that will gain a single vote in the House or Senate for the financial future of America. It speaks volumes. In his April 18th column for RealClearPolitics, Senior Elections Analyst Sean Trende notes that the upcoming presidential elections between the incumbent, Democratic President Barack Obama, and his Republican challenger, Mitt Romney, will be, as usual, “a referendum on the party in power.” That is, President Obama will be running, whether he wants to or not (and he clearly doesn’t), on his performance record. Fighting the good fight is something that must be done without let-up. And it means fighting here at home as well as internationally. 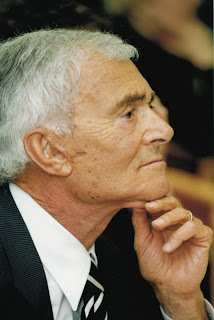 I want to begin by sharing an excellent article by Moshe Dann, "The fundamental misconception about Arab-Israeli peace." Here are the Bee Gees singing about Israel back in 1972. Despite the fact that some in the West portray Islam and democracy as being perfectly compatible, evidence continues to emerge that, for many countries in the Middle East, democracy and elections are various means to one end: the establishment of a decidedly undemocratic form of law—Islamic, or Sharia Law. Thus, Egyptian cleric Dr. Talat Zahran proclaimed that it is "obligatory to cheat at elections, a beautiful thing," his logic being that voting is a tool, an instrument, the only value of which is to empower Sharia. Likewise, Hazim Shuman, a cleric who has his own TV program, issued a fatwa likening the voting for Islamist candidates as a "jihad," adding that paradise awaits whoever is "martyred" during the electoral campaign. We are informed that after ethnically cleansing Jews from Jerusalem in 1948, Arab East Jerusalem was magically created for all time. Times Magazine informs us that with his new coalition, it is now up to Netanyahu to make peace--an odd statement only because the media has always assumed that it is Israel's obligation to make unilateral concessions for peace. In a new campaign--justoneminute--Deputy Foreign Minister, Danny Ayalon calls on the International Olympic Committee to dedicate a minute of silence during the opening ceremony at this summer's London Olympic Games in memory of the eleven murdered Israeli athletes who were brutally murdered during the Munich Olympic Games in 1972. Technorati Tag: Israel and Munich Massacre and London Olympics and Terrorism. One of the fears that accompanied the trade of prisoners for the release of Gilad Shalit is that the exchange would encourage more abductions. According to the indictment, squad members attempted to kidnap Israelis on three different occasions, driving a rental car and equipped with a taser, tear gas, clubs and a replica gun. Considering that Easter, one of the highest Christian holidays, comes in April, Christian persecution in Muslim nations—from sheer violence to oppressive laws—was rampant last month: In Nigeria, where jihadis seek to expunge all traces of Christianity, a church was bombed during Easter Sunday, killing some 50 worshippers; in Turkey, a pastor was beaten by Muslims immediately following Easter service and threatened with death unless he converts to Islam; and in Iran, Easter Sunday saw 12 Christians stand trial as "apostates." The persecution of Christians has come to regions not normally associated with it. As in Nigeria, Muslim militants are running amok in Timbuktu, Mali—beheading a Christian leader and threatening other Christians with similar treatment. Sharia law has been imposed, churches are being destroyed, and Christians are fleeing Timbuktu in mass. Meanwhile, as the mullahs and their mad scientists work tirelessly to perfect nuclear warheads, and as the rest of the Middle East is in the midst of internal Islamic takeovers, Time magazine has devoted this week’s cover story to Israel’s prime minister. “King Bibi,” is the headline, referring to the only leader in the entire Middle East who is not at the helm by virtue of his lineage, religious decree, or through the slaughtering of his opponents (other than at the ballot box, that is). It would be absolutely inconceivable for the international community to denounce an ethnically cleansed group which survived attempted genocide for moving back into a city where they had lived. It is however standard policy at the State Department and the Foreign Office to denounce Jews living in those parts of Jerusalem that had been ethnically cleansed by Muslims, as "settlers" living in "settlements", and describe them as an "obstruction to peace." Peace being the state of affairs that sets in when an ethnic cleansing goes unchallenged. I wrote earlier today that 60 Minutes journalist Bob Simon claims that left wing journalist Gideon Levy "is one of the very few Israeli civilians who has any contact with Palestinians"
I debunked Simon's absurd claim, pointing out the many thousands of Palestinians who have had contact with Jews either as employees, patients in Israeli hospitals, passengers in Israeli buses and taxis, shoppers in Israeli supermarkets and just being interviewed by other Israeli journalists. The specific context of this statement were remarks by the Obama Administration’s favorite Egyptian presidential candidate, Abdel Moneim Aboul Fotouh, in a debate. He called Israel racist, an enemy of Egypt, and a state based on occupation (that is, has no right to exist), then calling to alter the Egypt-Israel peace treaty. Pay no attention to the man in front of the curtain, says Nuland, he doesn’t really mean it. The problem with this, like hundreds of other statements by the currently dominant worldview in the West, is that almost nobody is around in the mainstream media or academia to say: Wait a minute! In fact, I can make a very strong counter-argument that would persuade most people if they were allowed to hear it. For more information, see embedded PDF below. Join the Kedushas Tefillin Program! Any boy who has a ratzon to wear his tefillin without talking. Contact our Gabbai, Eli Jaffa, @ 216-385-4869, or send us an email @kedushastefillin@gmail.com. A tremendous reward for davening properly, and for being careful in the fulfillment of this mitzvah. For the “she’lo lishma” part, see below. After you join, you will receive a monthly card. There will be a special raffle for any boy who “signs-up” five or more boys during the month of Sivan: a sefer, plus ten coins – dated between 1900 and 1920. The Middle East Media Sampler 5/21/2012: Welcome To Jerusalem! In the week that three Presidents, a King and their own Prime Minister gather at the White House to begin a fresh round of talks on peace between Israel and the Palestinians, the truth is, Israelis are no longer preoccupied with the matter. They're otherwise engaged; they're making money; they're enjoying the rays of late summer. A watching world may still define their country by the blood feud with the Arabs whose families used to live on this land and whether that conflict can be negotiated away, but Israelis say they have moved on. Unfortunately, Bob Simon has no clue as to what he is talking about--and passes on that ignorance to his viewers. The history of Jerusalem did not start in 1967. Thousands of years of Jewish history took place in what is now called "Arab East Jerusalem." Only when the Jewish residents were driven from their homes in 1948 was the city divided between East and West. This video shows the reality of Jerusalem today and includes interviews from survivors of the fall of Jerusalem. To discuss the issue of Jerusalem, join our Facebook Group "The History of Jerusalem Did Not Start in 1967." To read more about the issue of Jerusalem, check out the Jerusalem resources section of the HonestReporting website. The description on Comcast is "Bob Simon investigates the possibility of an attack on Tel Aviv, Israel"
All fine and good. But based on Bob Simon's past inaccuracies in his last hatchet job, I am not reassured. The last time he attacked Israel, Bob Simon ambushed Israeli ambassador Oren with a deceptively friendly invitation. From there, Simon fabricated a story that Israel was responsible for Christians fleeing--in spite of the fact that Israel is the only Middle Eastern country with a growing Christian population. Barry Rubin: The Middle East: Brave New World or Scary New Master? The Middle East: Brave New World or Scary New Master? “How many goodly creatures are there here! If you want a sense of where the Middle East is going, consider this viewpoint from an unlikely source. Suat Kiniklioglu is not just a member of the Turkish Parliament for the ruling (Islamist) AK party, he’s a member of the party’s Central Executive Committee and deputy chair of the party’s foreign affairs commission. In other words, he’s a very important person in Turkey’s ruling establishment and especially foreign policy. Yet rather than take an optimistic view about the advance of Islamic politics in the region, he’s very worried, worried enough to write a column entitled, “Back to a Barbarian Age” in the May 16 edition of the Islamist newspaper, Today’s Zaman. I first became aware of Vidal Sassoon’s rise to prominence about 45 years ago as a young student at Cambridge University. It was the age of Beatlemania, the heyday of the fashion designer Mary Quant and her mini-skirts, of the celebrity photographer David Bailey, the spirit of Carnaby Street and the slightly hysterical excitement of “Swinging London.” Vidal Sassoon was part of that universal “Youthquake,” of a newly affluent and style-obsessed Western consumer society. Will Romney Visit Israel This Summer? Robert Spencer: Did Muhammad Exist?